Education Matters Yearbook 2016-2017 was launched by Richard Bruton, Minister for Education & Skills, in December 2016 in the National University of Ireland (NUI), Merrion Square, Dublin. 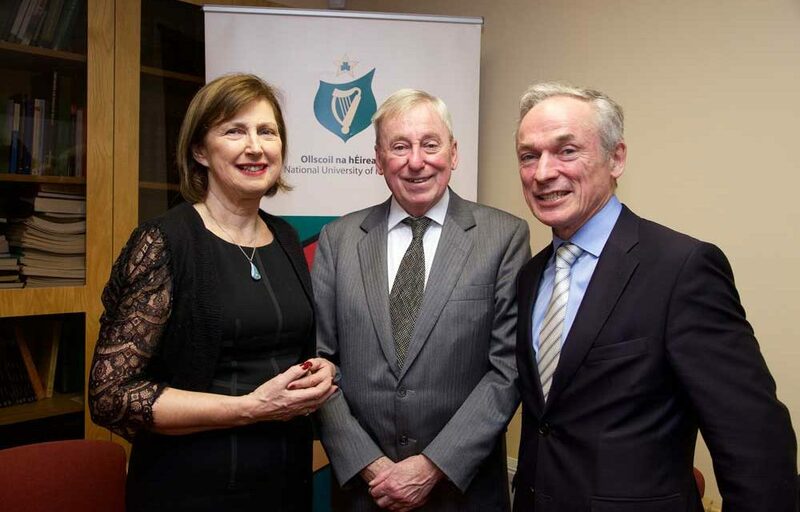 The Minister (right) is pictured here with the hosts, Professor Maurice Manning, Chancellor NUI, and Dr Attracta Halpin, Registrar NUI. Minister for Education and Skills Richard Bruton launched the 10th edition of Education Matters Yearbook in the National University of Ireland on December 13, 2016. Opening the launch proceedings, NUI Chancellor Dr Maurice Manning said that NUI recognises Education Matters Yearbook as “a very useful work of reference for the whole of the Irish education system” and has been happy to sponsor the initiative over the past five years. Recalling the year’s commemorations of the 1916 rising, Chancellor Manning spoke of Prof John Coolahan’s article in Education Matters Yearbook on Pádraig Pearse as an educator. The Chancellor noted that Pearse’s approach to education was child-centred. In conclusion, the Chancellor said he believed that Education Matters Yearbook would “stimulate increased engagement with Irish education, and plenty of dialogue on how its problems can be addressed and its future directions best shaped”. Also present at the launch were Professor Brian MacCraith, President of Dublin City University, Dr Eucharia Meehan, Director of the Irish Research Council, and many other eminent educationalists, practitioners in education and well-wishers. Education Matters Yearbook was founded and is currently published by Phyllis Mitchell. The project is sponsored by DCU, Irish Research Council, Maynooth University, NUI, QQI, NUI Galway, UL, SOLAS. The Editor is Brian Mooney.